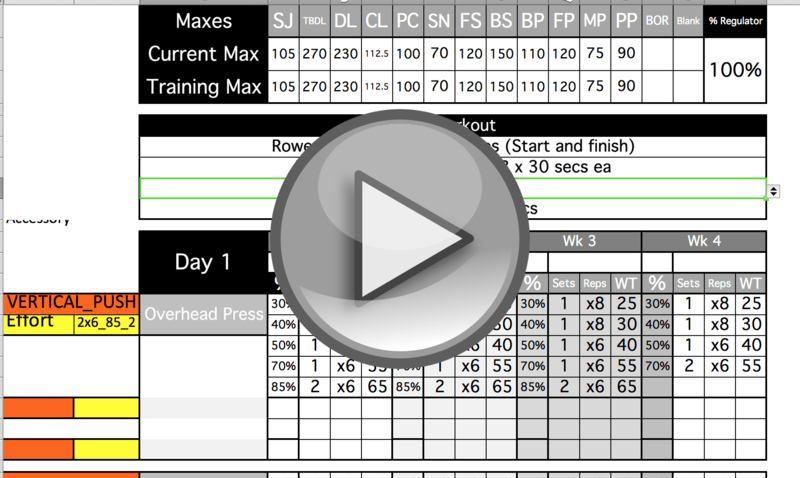 FOR THOSE WHO WANT A SERIOUS OVERHAUL OF THEIR EXCEL STRENGTH PROGRAM. If you are tired of messing with excel templates, this is for you. It can do anything and everything you have ever wanted. 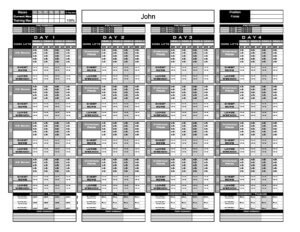 Never mess with an excel formula again, never manually type an exercise or athletes maxes into the training sheet again. 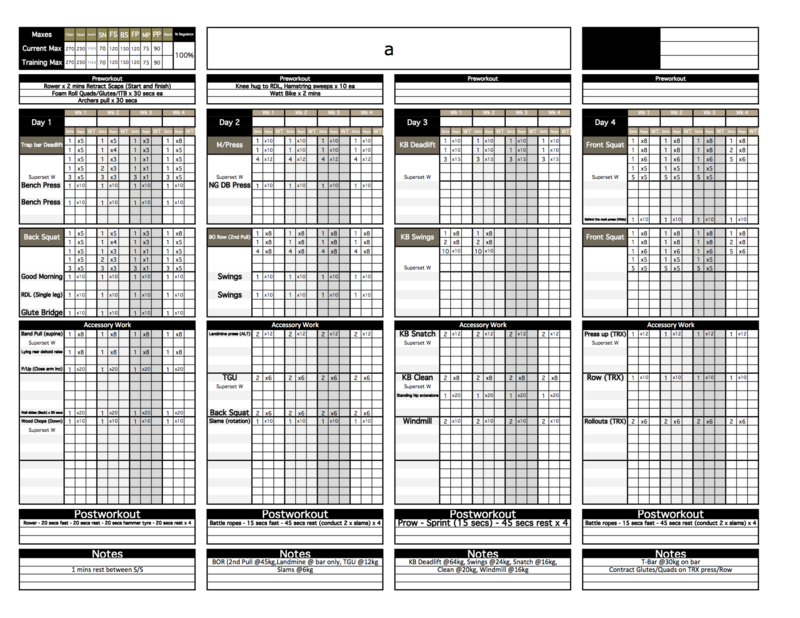 Easy, efficient and affordable, the gold strength and conditioning excel template was designed for strength and conditioning coaches of all types. 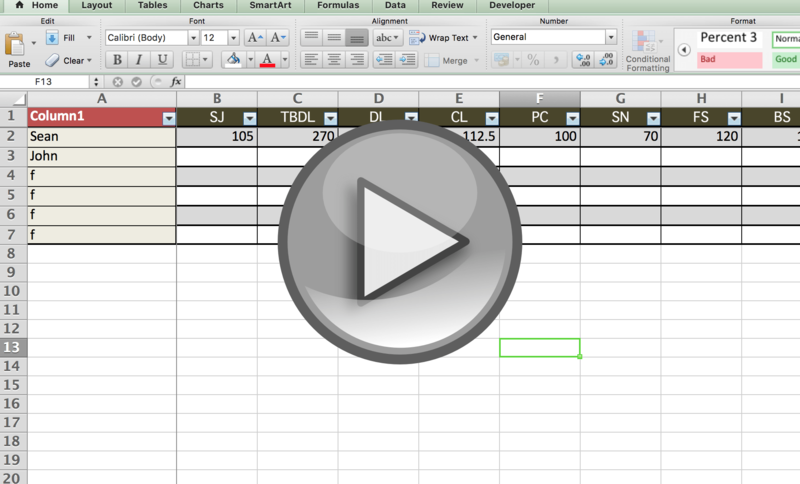 Our most efficient and fastest way to get started with an advanced excel template! 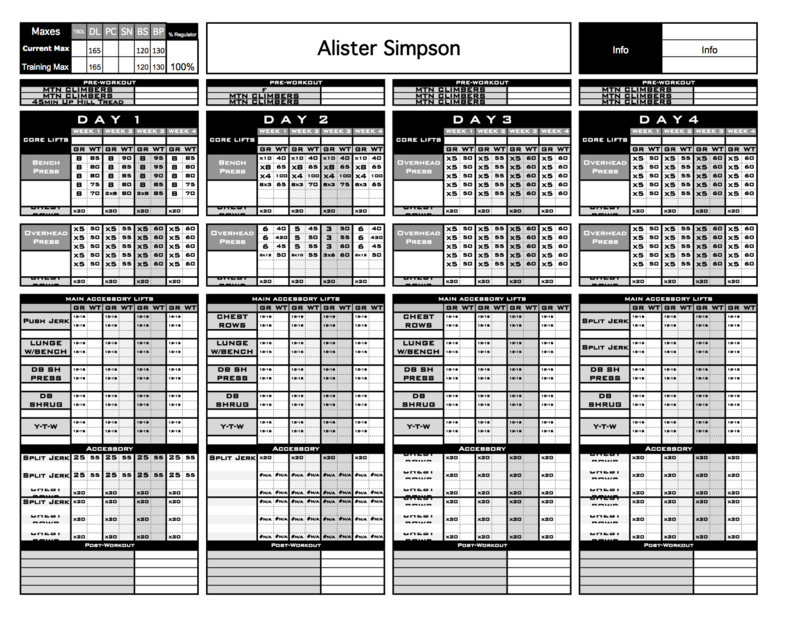 Over 150 coaches worldwide have used the Gold template to plan, manage and track their athletes training programs. 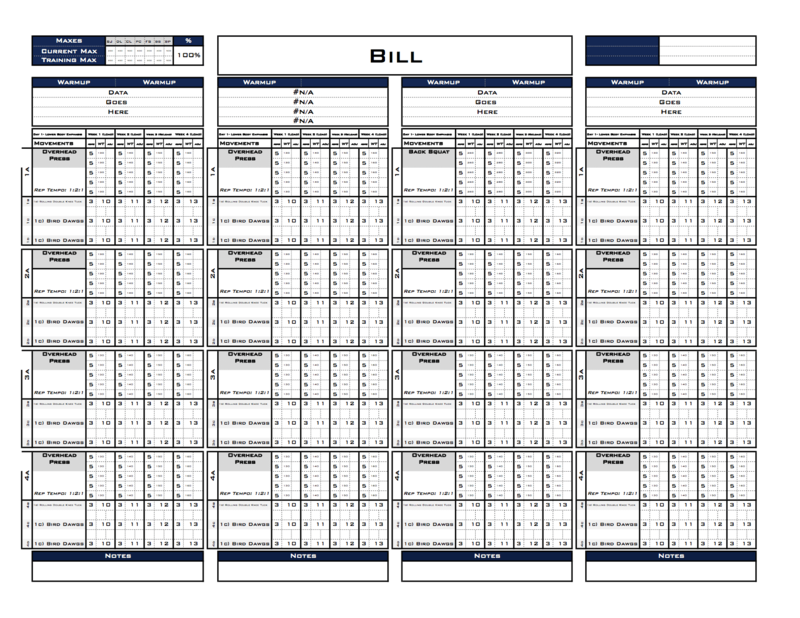 With dropdowns for exercises, sets and reps, batch printing, auto calculating weights and an easy to use dashboard, this template is perfect for private sector and coaches with a few teams. Excel training designs was definitely one of the best products I could have purchased for my team. It is a great way for me to keep track of my athletes progress and watch how far they have come. Not only is this product amazing but Steve continually helped me with every question I had. This is truly an amazing product and I would recommend it to any trainer or strength & conditioning coach! Purchase the Gold Package now! Stop wasting hours on Excel making templates. Make this the last one you'll ever need! 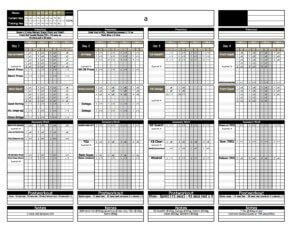 We have 9 Layouts available for our gold strength and conditioning template. Every version includes all of the gold features, as well as 2, 3 and 4 day versions! ACCESS THE FULL LINE OF FEATURES OF OUR NEW TEMPLATES ON ONE PAGE. 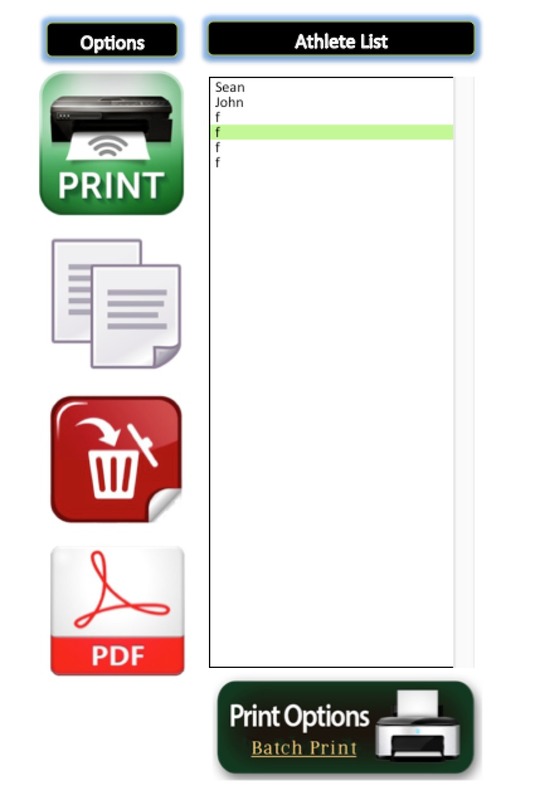 WITH EASY ACCESS TO MAKE A COPY OF THIS TAB, DELETE THE ENTIRE PROGRAM, ACCESS TO THE BATCH PRINT OPTION AS WELL AS 1 CLICK PDF SAVE, THE NEW DASHBOARD IS SURE TO MAKE PROGRAMMING EASIER FOR YOU. STORE YOUR ENTIRE ROSTER IN THIS DATABASE, INCLUDING NAMES AND ALL ATHLETES MAXES. STORE ALL OF YOUR EXERCISES INTO A SINGLE DATABASE. WITHIN THIS DATABASE, YOU CAN EASILY CALCULATE A WEIGHT FOR ANY EXERCISE, BASED OFF THE MAX OF ANY EXERCISE. 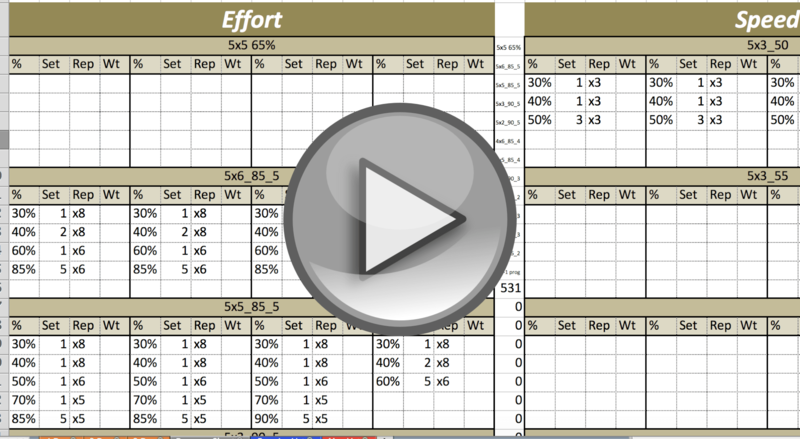 NEVER MESS WITH AN EXCEL FORMULA AGAIN TO CALCULATE WEIGHTS! 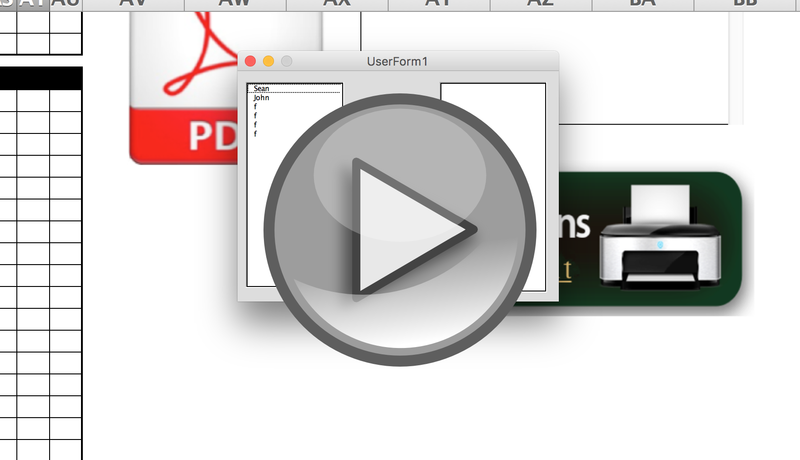 SAVE SET AND REP SCHEMES INTO AN INDIVIDUALIZED DATABASES FOR FAST AND EASY PROGRAM DESIGN. 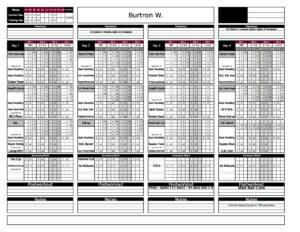 PRINT YOUR ENTIRE TEAMS ROSTER QUICKLY AND EASILY TO YOUR LOCAL PRINTER WITH 1 CLICK OF A BUTTON. THE GOLD STRENGTH TEMPLATE WILL AUTOMATICALLY CALCULATE A WEIGHT FOR BOTH MAIN AND ACCESSORY EXERCISES, BASED OFF A MAIN LIFT MAX. TO CALCULATE A WEIGHT, YOU WILL NEED TO ASSIGN A MAX AND A % TO EVERY EXERCISE, AS WELL USE A SET AND REP SCHEME THAT HAS A % ATTACHED TO IT! EVERY PLATINUM TEMPLATE INCLUDES A 2ND VERSION THAT IS COMPATIBLE WITH VELOCITY BASED TRAINING, AS WELL AS TEMPO TRAINING. 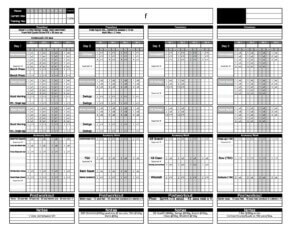 THE GOLD STRENGTH & CONDITIONING TEMPLATE INCLUDES OPTIONS FOR 2, 3 AND 4 DAY TEMPLATES IN THE SAME STYLE FOR MAXIMUM TRAINING VERSATILITY. 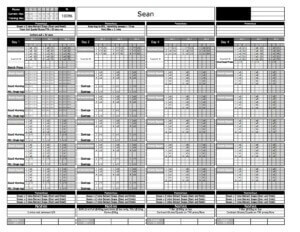 The platinum Strength & Conditioning Template includes a full suite of templates designed to plan, track and program your athletes training. Our most advanced testing sheet we have ever made! Track all of your teams information, including averages, medians, standard deviations and team percentile ranking. View information in both team and individual mode. 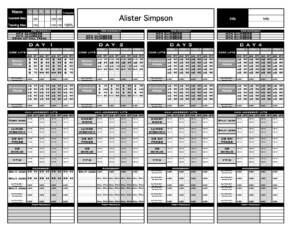 Also, easy to print graphs detailing the entirety of your training program with one click of a button! This speed and agility template will allow you to categorize all of your speed drills into a comprehensive database. From there, you can build your speed program using simple dropdowns. Create better speed training programs today by having your knowledge base down into a database. The ETD Annual Planner is an open source template, designed to allow you to plan a 52 week training cycle in advance of your coming year. 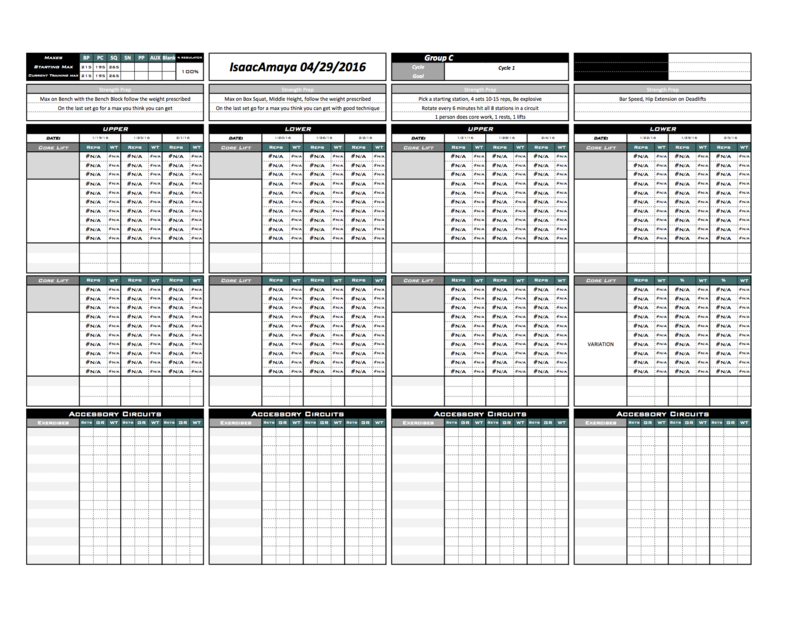 With checkboxes to plan the training adaptation, and graphs to help you visualize readiness, this template is sure to help organize your training calendar. 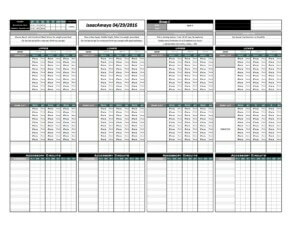 The Attendance Tracking Template is an automated, easy to use template which uses checkboxes to mark whether your athletes are attended, absent or excused from training. 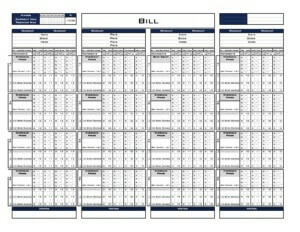 The template will tally up both team and individual summaries of attendance. 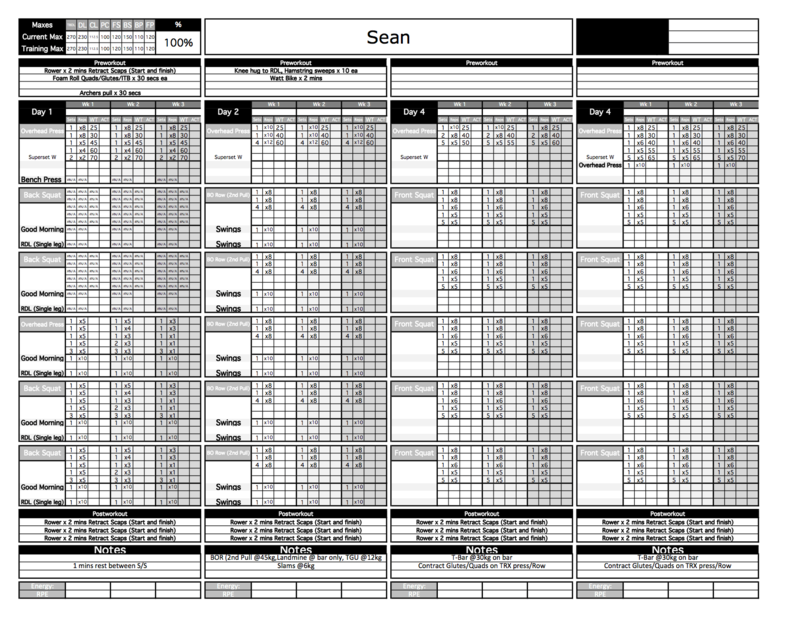 The team max sheet will allow you to see what weight your team is supposed to be training at on any given day. Enter your roster into the settings tab, select the training % you want to work at as well as the lifts you are training, and this sheet will tell you your entire roster's daily working weights. Also included is a % chart to easily see what weight an athlete should be working at, with a given %. A completely open, ready to modify version of this template is also included for those who need to write up a quick program! What have other coaches said? How many athletes does this work with? Unlimited! Every template we offer has no restrictions on number of athletes. 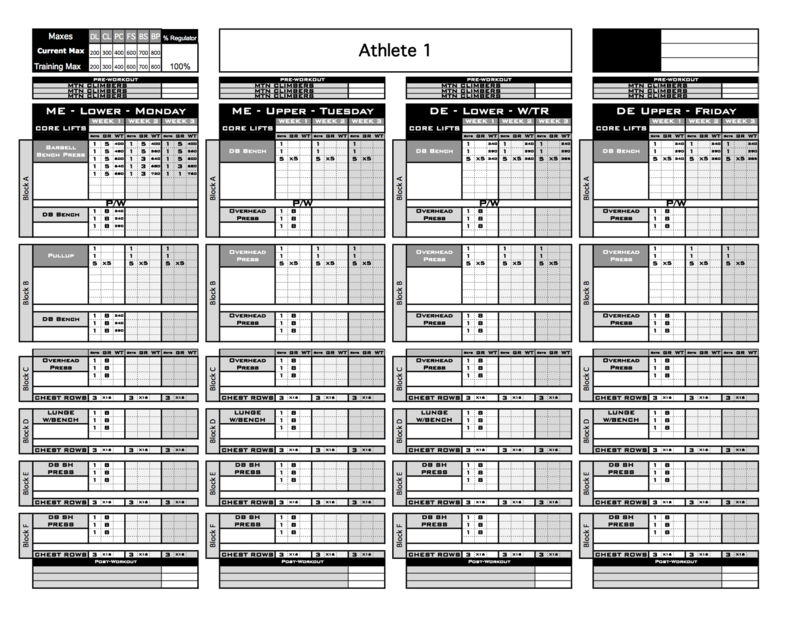 Our higher level templates allow you to better organize those athletes however! Can I add my own set and rep schemes? Absolutely, in the program sheet, just type the set and rep scheme you wish to use under the appropriate category. 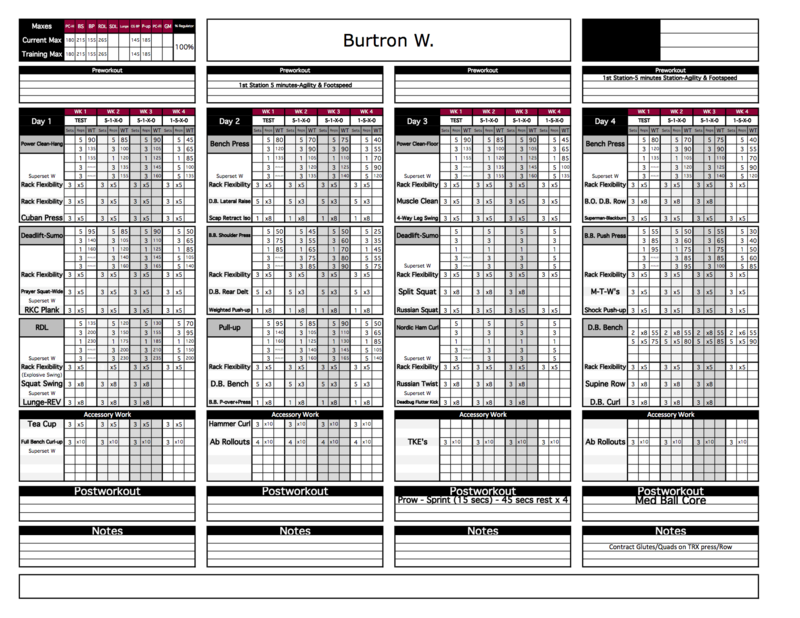 These programs will be reflected in the set & rep dropdowns. What if I decide to upgrade my template in the future? Contact us today for a special rate on the upgraded template! We want to make sure you get the template that you need to be successful. Will I get updated versions of this template? As part of your purchase, you will receive lifetime access to any upgrades that are made to this template. Simply go to your membership page to download! What are the differences between Bronze, Silver & Gold Templates? 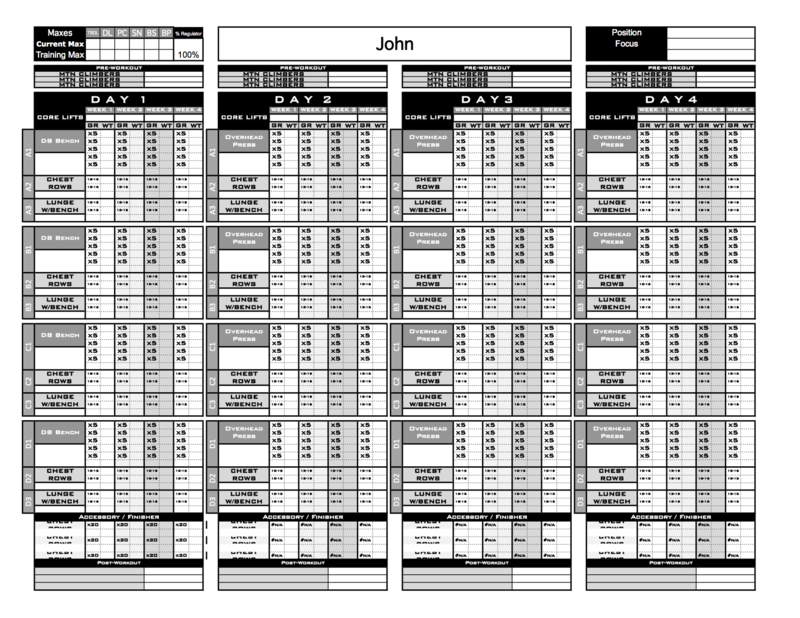 Each template has an increasing level of features, designed for coaches who have different needs. 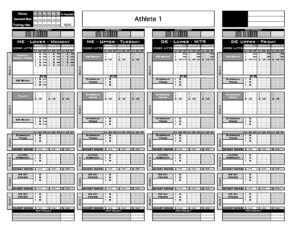 The more athletes and teams you train, typically the higher level template will help you more with your program design and organization. 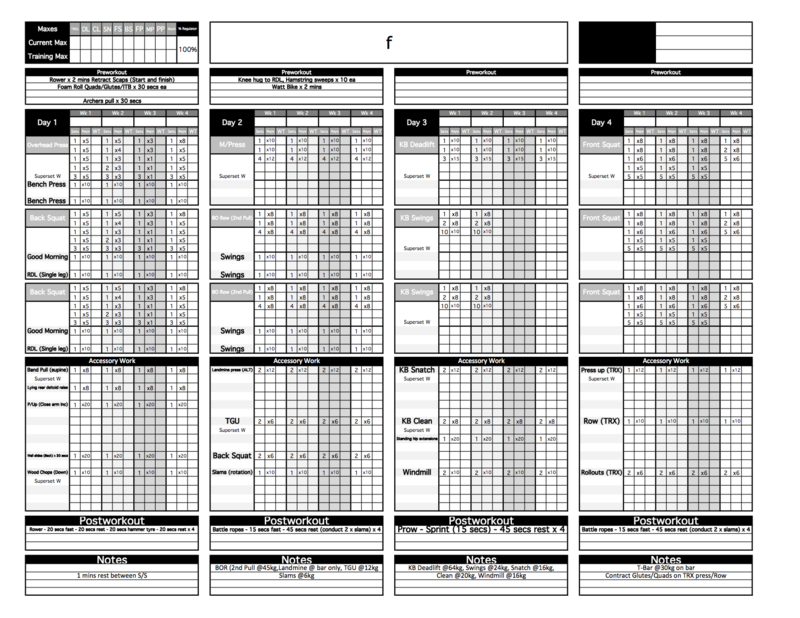 To see a detailed list of feature differences, go to the Strength & Conditioning Template Comparison Chart. How long does it take to receive my template? The template, along with all the additional included templates, will be available for instant download in your membership page. Get your Gold Strength & Conditioning Template Now!